This is a series of blog posts that turn our Writing Prompts classroom activity into a visual image. Feel free to save them for your classroom. 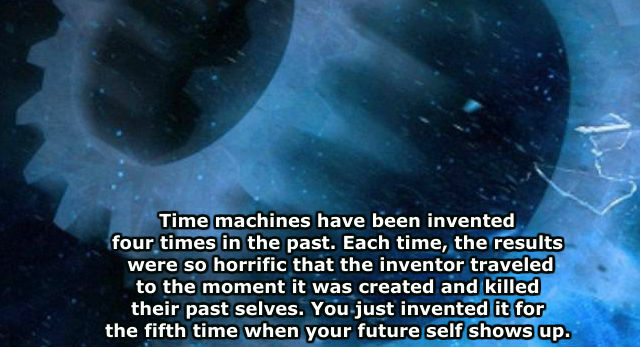 Prompt: Time machines have been invented four times in the past. Each time, the results were so horrific that the inventor traveled to the moment it was created and killed their past selves. You just invented it for the fifth time when your future self shows up.